As home inspectors, we find crazy things in people’s homes from time to time. Some more strange than others, some we will never forget. We are opening and inspecting areas of the home that have likely not been touched or thought of in years. It’s easy to hide something so good that you yourself forget where you put it. Until we come along. From forgotten valuables to things that give you nightmares, we’ve compiled a list of the craziest things found during a home inspection. A husband who loved collecting rare and valuable items hid something so well, he himself forget that he put it where he did. Years later he passed on and his wife was selling their home and moving on. As she was moving out the last of the boxes from their old home, her home inspector stumbled upon an intriguing discovery. He was inspecting the home’s attic when he found a rare collection of silver bullion coins and other silver mingled in with it. He came down from the attic and asked her if she knew what happened to her husband’s collection of silver bullion coins. Her face became pale and she answered, “How do you know about that?” The inspector informed her of her discovery and helped her to collect the items from the attic. She thanked him for his honesty and wrapped up the coins for safe keeping. 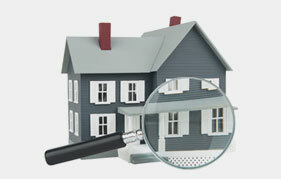 How Thorough are Home Inspections? Secret Gun Collections have Been Found! Crawl spaces can be creepy to inspect, especially considering that you never know what you’re going to find down there. It is a space that is not often touched, and you are likely to run into a critter or two while you’re down there. One home inspector was inspecting a crawl space beneath a home when he noticed something out of the ordinary. As he crawled over for further inspection, he discovered a hoard of guns that had been stashed beneath the home. When he informed the home owner of his findings, the home owner stated that it must have belonged to his deceased father. He had no idea the guns where there but was thankful to have been notified of them before the house was sold. A team of home inspectors discovered a most peculiar phenomenon on a hot Summer day. They couldn’t have had better timing in their discovery. A house was sold, and the homeowners moved out the day prior to the home inspection. The next day, the home inspectors noticed that the electricity and air conditioning had not yet been shut off. It was a sweltering hot and humid day, so they were actually thankful to have the air on full blast. While inspecting the home, they noticed the thermostat was set a bit too high and while inspecting the home they began to smell smoke. They followed the stench down to the basement where they discovered a smoke detector on fire. Excess condensation build-up seemed to be the culprit. Interestingly enough the device meant to keep you safe during a fire, actually caused a fire that day. Thank goodness these guys were right on time. A couple was selling their 70-year-old home. On the day of the home inspection, the inspector was on all fours making his way through the creepy crawl space when he placed his hands on something bony and furry. Upon closer inspection, he discovered a stiff cat skeleton with the fur still intact! After communicating his find with the home owners, they know knew what had happened to their beloved feline companion whom they thought had run away years earlier. 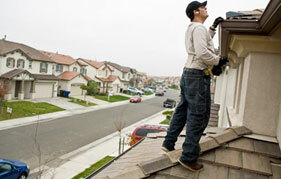 A home inspector never knows what they may find during a home inspection. That’s why it’s best to always be prepared for the inevitable. JMark Inspections hopes you enjoyed these accounts of the craziest things found during a home inspection and we encourage you to follow our blog for more interesting and informative stories on home and commercial inspections. 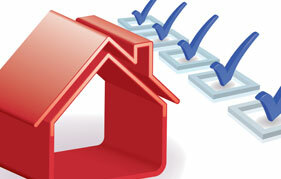 Contact JMark Inspections for all your Greater Houston, TX inspection needs!